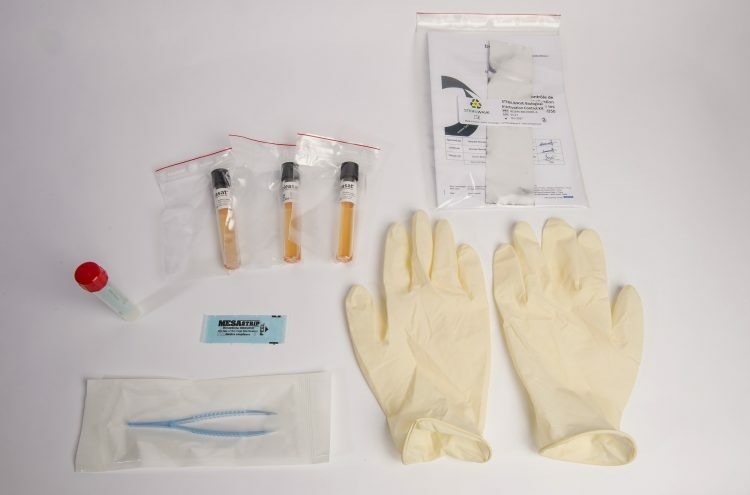 Developed by Bertin Medical Waste, this kit allows the operator to monitor the effectiveness of microbiological inactivation in the Sterilwave systems without recourse to an external laboratory. Operators are required to perform regular checks of the effectiveness of microbiological inactivation in the Sterilwave systems. In fact, we recommend carrying out these tests at various intervals in accordance with current regulations or after major maintenance work, in order to verify that the system is working properly. 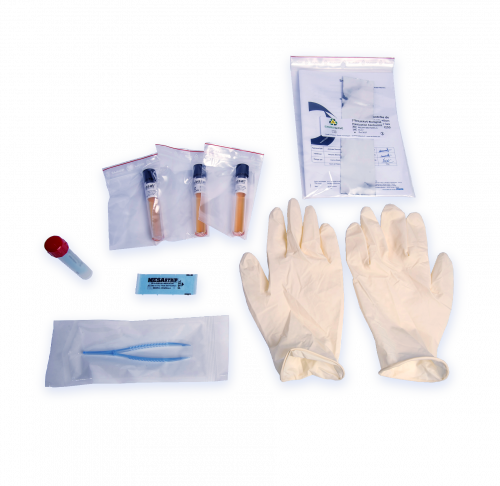 Bertin Medical Waste has developed a bacteriological kit for this purpose which has been laboratory certified. In a simple procedure, the operator can check themselves whether the level of bacteriological inactivation is higher than 6log10 using bacillus spores. 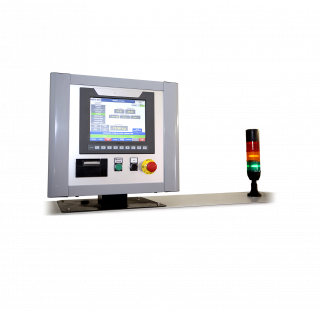 The test is performed during a machine cycle and results can be obtained within 48 to 72 hours. 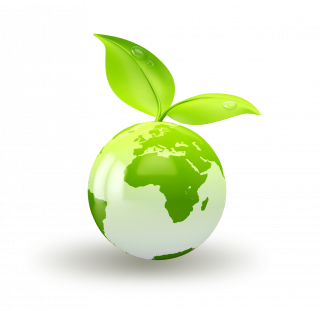 This ensures the full traceability of biohazardous waste treatment. Managing biomedical waste is a daily challenge for clinics and hospitals. Laboratories and small clinics produce biomedical waste on a daily basis, and this often leads to high management costs. Waste collection services are required to handle large quantities of biomedical waste which must be treated quickly, effectively and securely. 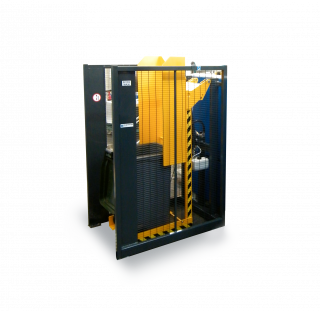 The Sterilwave is the only solution on the market for rendering biomedical waste safe which offers a mobile configuration for containers or lorries. 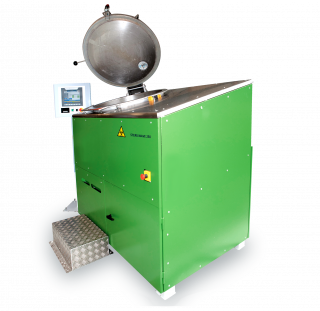 With a waste treatment capacity of 50 kg per hour, the Sterilwave 250 allows medium-sized institutions to treat their biomedical waste, guaranteeing safety and traceability at greatly reduced operating costs. 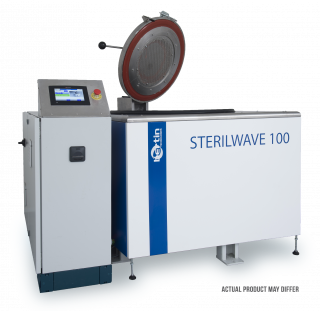 The Sterilwave 100 is particularly suited to medical facilities generating only small amounts of waste. 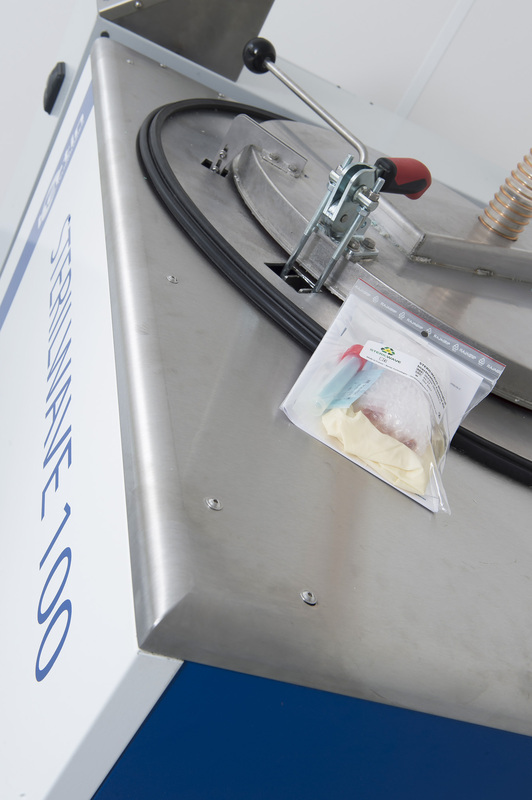 This biomedical waste management system can treat up to 20kg of waste per hour*. 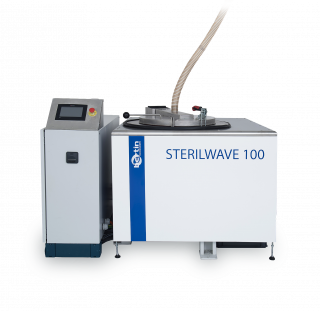 Sterilwave 100 is ultra-compact and comes in a mobile version, for use in a container for example. The Sterilwave 440 is the ideal treatment solution for institutions producing a large quantity of biomedical waste, as it can treat 70kg/hour* with minimal operating costs. 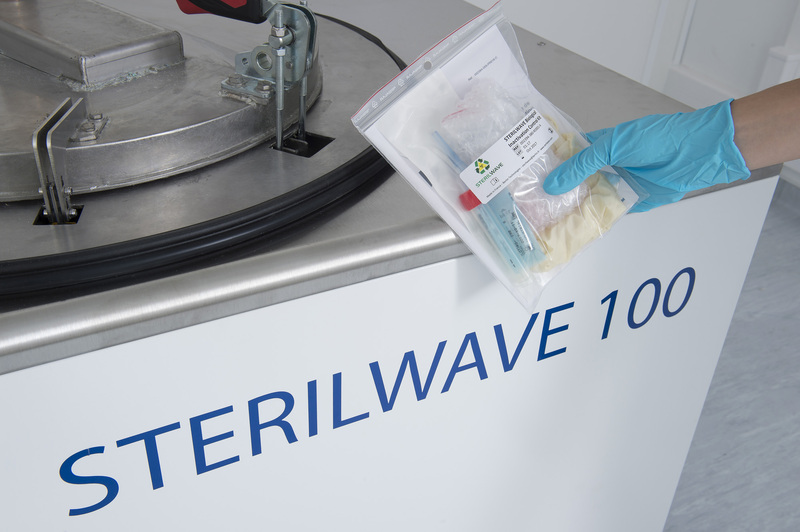 Bertin Medical Waste offers solutions adapted to any infrastructure for the evacuation of vapours generated during the Sterilwave sterilisation process. The Sterilwave machines are fitted with a tracking system which allows precise control over the process of treating biomedical waste to ensure compliance with current standards and to record production data. 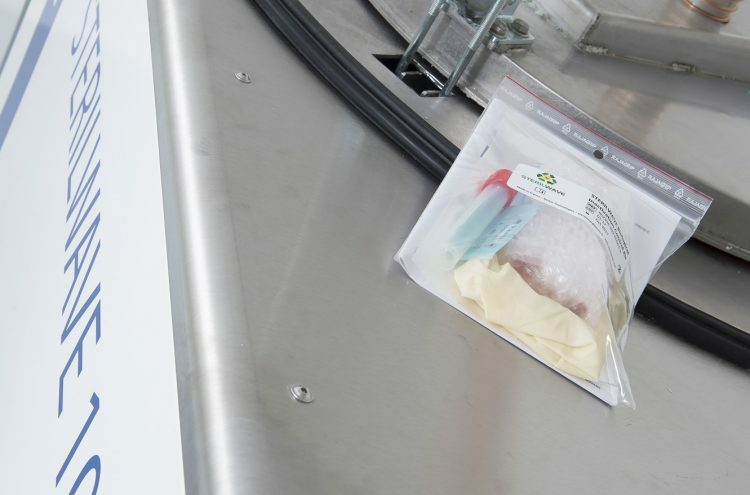 To improve the operator’s working environment, Bertin Medical Waste offers optional solutions for reducing and managing odours (masking gel or ozometer). 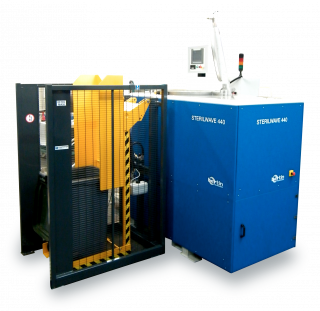 In order to optimise the handling of biomedical waste and make it safer, container tipper machines can be combined with Sterilwave 440 and 250 to make biomedical waste’s loading into the machines easier and minimise any contact between the operator and the waste.